Gossamer Bio Inc (NASDAQ: GOSS): IPO-ed on Feb. 8. Immune Design Corp (NASDAQ: IMDZ): announced a deal to be acquired by Merck & Co., Inc. (NYSE: MRK). BioTelemetry Inc (NASDAQ: BEAT) reported fourth-quarter revenues of $103.6 million, up 12.9 percent year-over-year, and adjusted earnings per share of 56 cents compared to the year-ago's 32 cents. Analysts expected EPS of 43 cents per share on revenues of $102.84 million. The stock fell 4.99 percent to $69.68 in after-hours trading. bluebird bio Inc (NASDAQ: BLUE)'s fourth quarter revenues climbed from $4.2 million to $19.2 million. The company's net loss widened from $2.52 to $2.72. Analysts expected a wider loss of $2.86 per share on revenues of $8.12 million. The stock rose 2.17 percent to $130 in after-hours trading. TherapeuticsMD Inc (NASDAQ: TXMD) said its fourth-quarter revenues increased from $4.1 million to $5.1 million. The net loss per share widened from 10 cents to 17 cents. The results matched analysts' expectation. The stock rallied 3.93 percent to $5.29 in after-hours trading. BioMarin Pharmaceutical Inc. (NASDAQ: BMRN)'s 2018 fourth-quarter revenues of $353.2 million compared to $358.3 million in the year-ago period. The GAAP net loss narrowed from 30 cents per share to 3 cents per share. On a non-GAAP basis, the company reversed to a loss of $10.8 million from a profit of $5.2 million. For 2019, the company guided to revenue of $1.68 billion to $1.75 billion, while the consensus estimate calls for revenue of $1.73 billion. The stock fell 5.98 percent to $83.50 in after-hours trading. 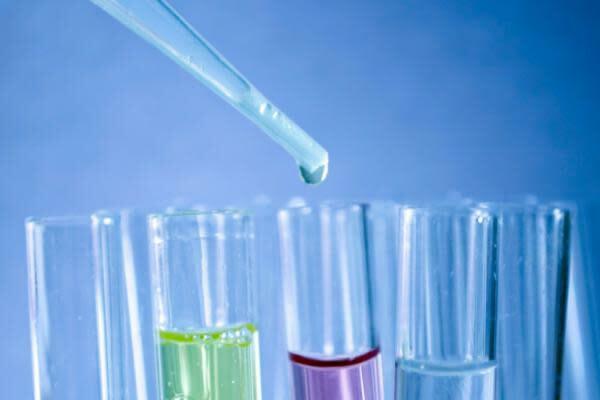 Moleculin Biotech Inc (NASDAQ: MBRX) reported a loss of 46 cents per share for 2018 compared to 53 cents per share for 2017. Analysts had expected a loss of 47 cents per share. The stock slipped 4.11 percent to $1.31 in after-hours trading. Orchard Therapeutics PLC – ADR (NASDAQ: ORTX) is due to present Phase 1/2 data for its OTL-101, being evaluated for adenosine deaminase severe combined immunodeficiency at 10:30 a.m. ET.